Ithaca is like no place you've ever been. Explore what makes it different and start planning your own Ithaca Experience. An extended living museum with a mature botanical garden and 100-acre arboretum. What makes Ithaca unique? Is it the towering waterfalls, lush ice-age gorges, endless panoramic views? Is it the hiking, the biking, the boating? Is it the beauty of Cayuga Lake, the largest of the Finger Lakes? Perhaps. But perhaps it's something more. Maybe it's the buzz from Cornell University and Ithaca College. You feel it everywhere—in our museums, our galleries, and in our restaurants. You hear it in our theaters, our nightclubs, our Finger Lakes festivals. You see it downtown on our pedestrian mall, the Ithaca Commons, where PhDs cross paths with street musicians and families stroll the solar system on an interactive "planet walk." You experience it in Ithaca's hotels, B&B's and waterfront cabins. You can't put your finger on it, but there's something special going on here. The bumper stickers say "Ithaca is Gorges," but it's more than that. Ithaca is beautiful and smart and always unexpected. It's intense and laid-back and disdainful of convention. Ithaca is Ithaca. There's a vibe here unlike anywhere else in America. And experiencing it is the only way to discover it. 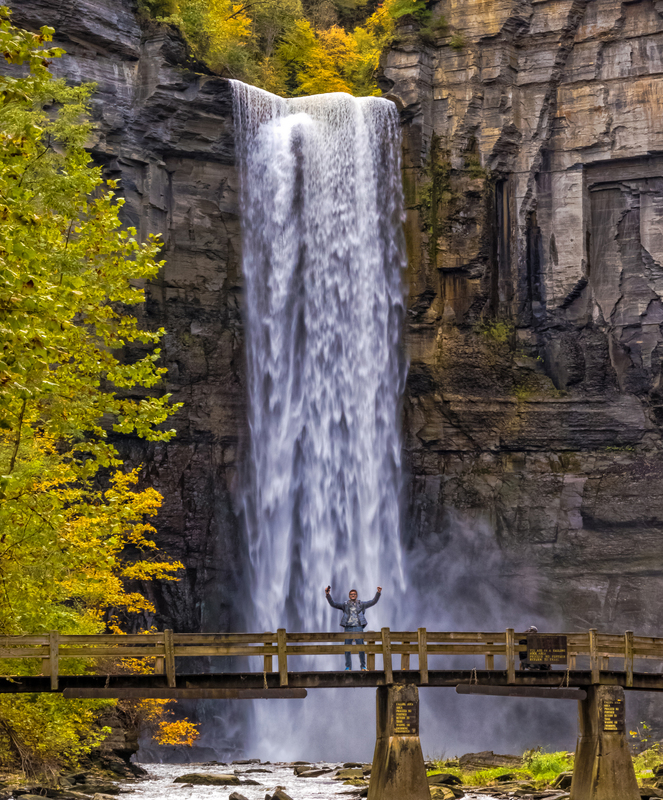 Hiking and Waterfalls - Take a hike to Taughannock Falls, Cascadilla Gorge or any of the 100-plus waterfalls in Ithaca. In the summer, swim underneath one of the waterfalls and cool off from the heat! Wine - Enjoy a Finger Lakes wine tasting experience on the Cayuga Wine Trail, the nation's first wine trail. Cheers! Delicious Food - Savor a meal at the famous Moosewood Restaurant; or any of the county's fine eateries. We have more restaurants per capita than NYC. Farmers Market - Come hungry to the sprawling Ithaca Farmers' Market, open on the lakefront every weekend, April-December, and popping up in various Ithaca locations throughout the week. Ice Cream Sundaes - Experience the quaint charm of the city that invented the first ice cream sundae. Boating - Go boating on Cayuga Lake. You can rent kayaks at Paddle-N-More in Lansing or Puddledockers in Ithaca, or learn about the this Finger Lake's history and ecology in educational cruises with Discover Cayuga Lake. 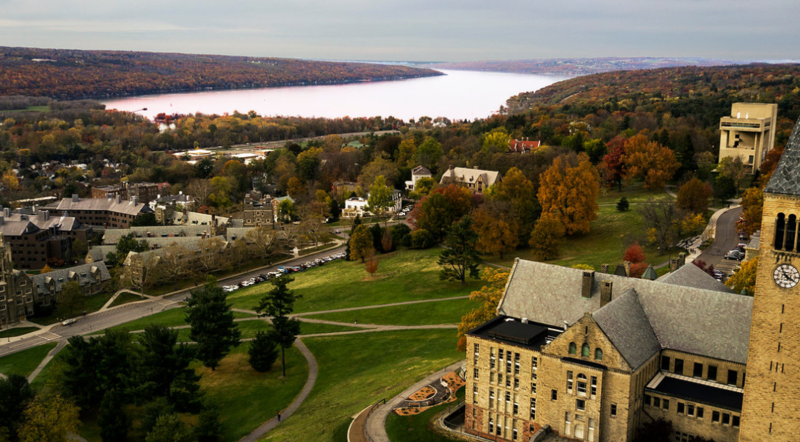 Cornell University and Ithaca College - Start at Cornell's Welcome Center and take in the deck overlooking Beebe Lake as well as an exhibit highlighting famous alumni as well as pieces from the Rare & Manuscripts Collections including Hip Hop Collection. 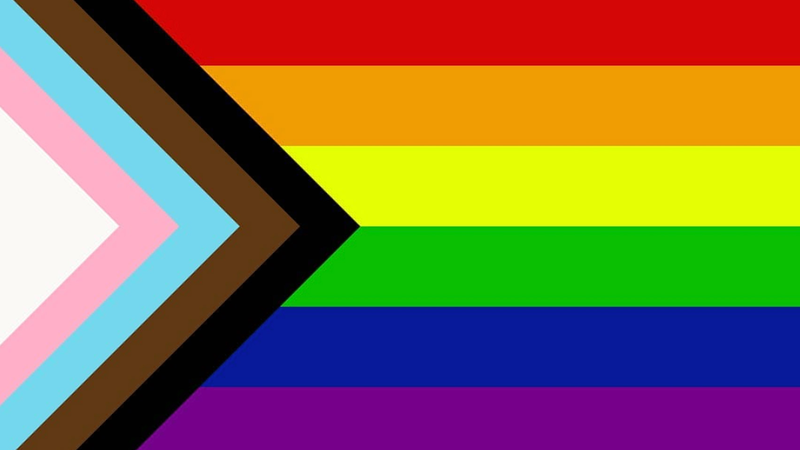 Ithaca College offers diverse music and theatre performances open to the public. Ithaca's Discovery Trail - The Discovery Trail is a partnership of top attractions: the kid-friendly Sciencenter, the world-famous Cornell Lab of Ornithology, the wild animals of the Cayuga Nature Center, the Cornell Botanic Gardens and arboretum, the amazing fossil specimens at the Museum of the Earth, the art collections at Cornell's Johnson Museum, the local artifacts at the History Center and the timely cultural events at the Tompkins Public Library. Ithaca Commons - Stroll the Downtown Ithaca Commons, a pedestrian mall that's the heart of the city's vibrant social scene. Music - Enjoy free concerts in Ithaca throughout the summer with music ranging from classical to jazz, funk, and more! Coffee - Stop by Gimme! Coffee's original location on State Street and enjoy the award-winning coffee by Roast Magazine's "2013 Chosen Roaster of the Year". Fireworks - Whether it's for the 4th of July, or just a special summertime event, Ithaca puts on incredible fireworks displays. Ooh! Aah! Request an Ithaca Travel Guide today and start living the experience!